Costco sells big and meaty ducks for $2.99/pound and we love cooking soup with them. 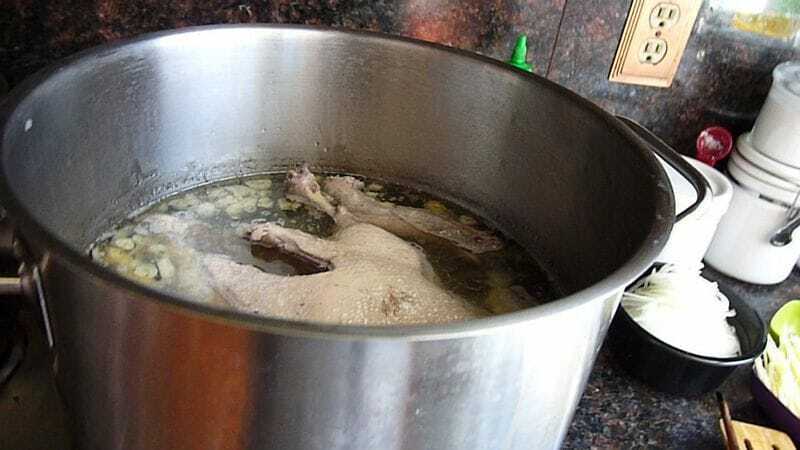 Boiled duck meat sometimes very mushy, not solid after being boiled for a long time. The best is to cook with low heat so the skin won’t break and the meat is mushy. But the most important part to get the meat to be firm but tender is to submerge it in cold water right after being boiled.